I’ve never been a huge chili-loving person... until now. Come to find out, I prefer my chili non-traditional. Hearty, yes. Bursting with flavor, yes. 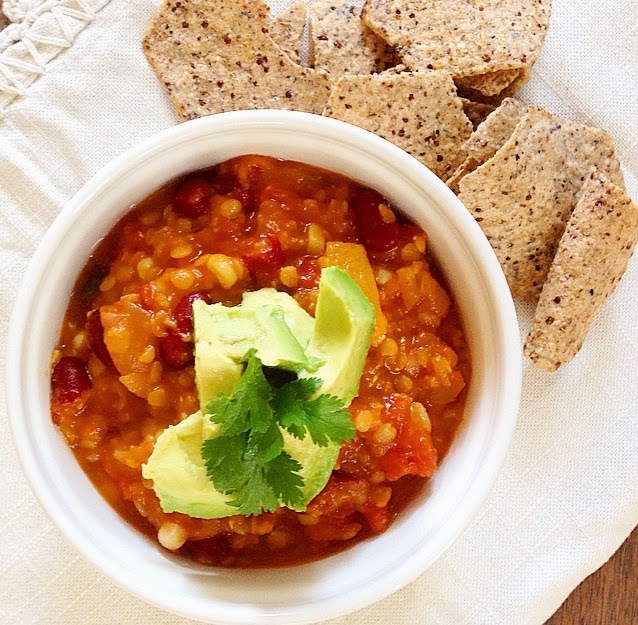 But this is not your typical chili. It’s a million times better! And did I mention, it's healthy too? Bonus! 2. Add garlic, onion & spices & saute until onion is soft, about 5 minutes. 3. Add the bell pepper, sweet potato & diced tomatoes. Saute for 5 minutes. 4. Stir in the broth, lentils, beans & corn. Bring to a boil over high heat. Don't let the addition of fresh herbs in your smoothie scare you. Thyme, especially, is a fragrant & tasty way to change your typical smoothie into an extraordinary blast of flavor! Thyme herb contains thymol, one of the important essential oils. Thymol has been found scientifically to have antiseptic and anti-fungal characteristics. And get this: scientists at Leeds Metropolitan University in England tested the effects of thyme on sufferers of acne, and found that ingesting thymol may be more effective than using acne creams! CH CH CH Chia! We can’t hear the name without thinking of the novelty item “The Chia Pet”, right?! It’’s popping up everywhere: in smoothies, puddings, baked goods.. even salads. So why is it winning the popularity contest these days? And what the heck is it anyways? I’m skeptical of anything that get’s this much fame overnight.. so I did my research. Chia seeds are considered an ancient grain since they were widely used by the Aztecs. They are a seed from an herb plant.. the chia pet plant! Yep. Same plant, except we are eating the seeds. The chia plant is from the mint family. One ounce of chia seeds has 11 grams of dietary fiber, which is important to digestive health & function. They are packed with Omega-3 fatty acids, containing more than a piece of salmon, with nearly five grams in a one-ounce serving. These fats are important for brain health. Chia seeds absorb up to 12 times their weight and expand in your stomach to make you feel fuller, longer, assisting greatly in weight loss. 1. In a blender, puree the banana, almond milk, cinnamon, Nanopro powder & sweetener of choice. 2. Transfer to a shallow storage container. 4. In the morning, stir the pudding and poor it into a glass. 5. 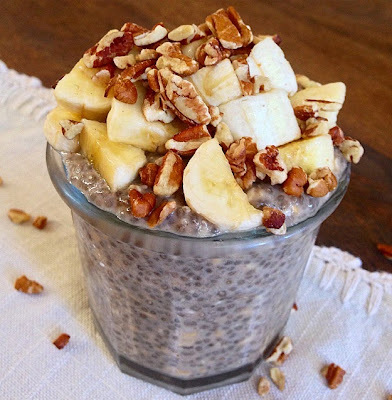 Top with pecans & banana. With 5 winter weeks ahead, we aren't slowing down! Some of the most delicious produce grows in the winter, including butternut squash. No offense to zucchini, but the health benefits of winter squash seriously outweigh their summer cousins. Not only are they low in fat and high in fiber, butternut squash is rich in potassium and high in vitamin B6. It also contains high levels of beta-carotene, which has been identified as a deterrent against breast cancer. We've paired it with a few of our other favorite ingredients in this delicious curry to keep you healthy, warm & going strong for the rest of the season! 1. Saute onions and garlic in the olive oil over medium heat for 5 minutes. 2. 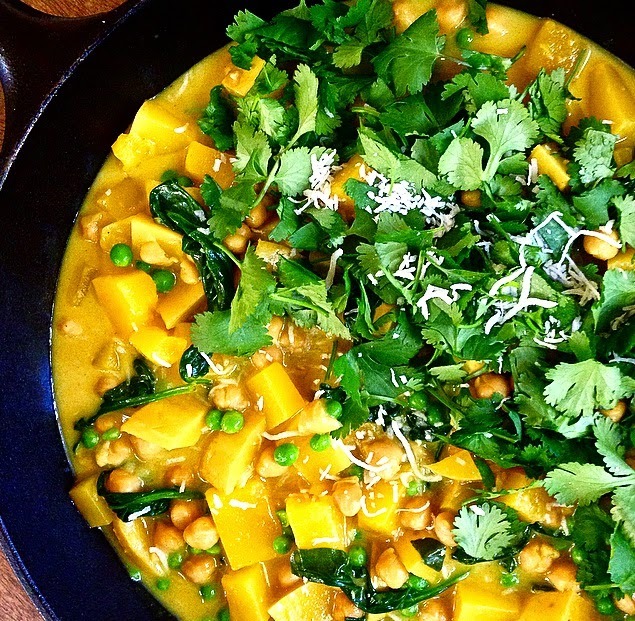 Add butternut squash, chickpeas, coconut milk, water, curry paste & salt. Bring to a boil. 3. Turn the heat down to medium, cover & simmer for 20 minutes. Stir occasionally. 4. Test the squash with a fork, it should be soft but not falling apart. 5. Add frozen peas and spinach. Stir & simmer for 3 minutes until spinach cooks down. 6. Remove from heat. Serve over rice or eat just by itself, topped with fresh cilantro and shredded coconut. Excited to introduce this amazing woman! Meet Candice Robinson, stay-at-home mother of four .. yes FOUR kiddos.. ages 8, 7, 6 & 4! When she’s not driving kids to practice, wrangling her youngest & doing the toughest job on the planet, being a MOM, she is sweating it out, inverting in headstand and strengthening her body & mind in yoga class. TF: Other than your four kids, what gets you out of bed in the morning and why?! CR: I became a morning person once I had kids, that’s for sure! But I really do love the fresh start of a new day. I start every morning with music and tea, this gets me going in the right direction. It's a chance to set the tone and pace for all that follows. 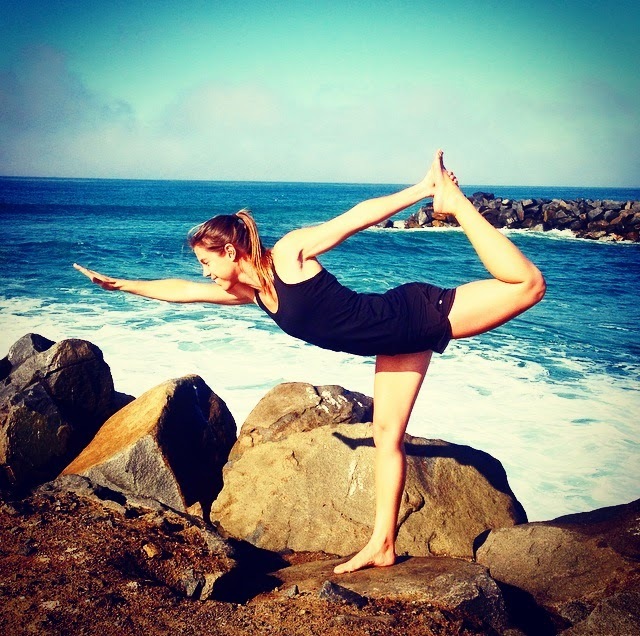 TF: How do you stay motivated and committed to your yoga practice? CR: I look at it as something I "get" to do rather than something I "have" to do. It's the only time in the day that I can dedicate 100% to myself. 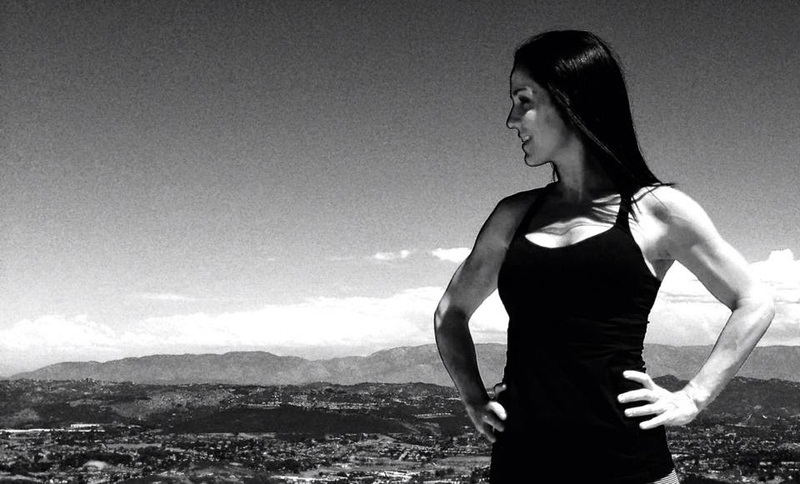 I like to alternate between yoga and running, but I don’t hold myself to a strict schedule. Instead, I just listen to what my body needs. When I take care of myself I am able to give more. I am a better mom, wife, and friend. CR: Music! I like all kinds of music, but mostly Indie rock and folk. Hydration is key.. I try to stay away from sugar-filled drinks out there & stick with water. I couldn't live without my lulu lemon bottoms! I absolutely LOVE their pants for yoga and their shorts for running. I need clothes that stay put when I move and these do the trick. They are worth every penny! Candice's tip: "You can’t always control what goes on outside, but you can always control what goes on inside." I can't control what others do but I can control my own perception and reaction. I try to focus on working on myself, not others. It's always a work on progress. Thank you for sharing with us Candice! You are an inspiration to Moms everywhere. As a mom myself, I am familiar with the importance of committing to self-care. Our health is the MOST important gift we can give to our children. We need our sanity just as much as they need us to role model a healthy lifestyle. It’s a win-win! Matcha is one of the top must-have superfoods because it is simply amazing! Matcha is a type of green tea that originated in Japan, where it is still used as a traditional daily practice. It isn’t your average cup of green tea though. Matcha is especially rich in chlorophyll since it never goes through heat during processing. It’s made from the same plant as green tea, but is treated in a different way. It has a buttery, slightly earthy, mildly sweet taste that is incredibly soothing. Matcha is an antioxidant powerhouse, energy booster & stress reducer. 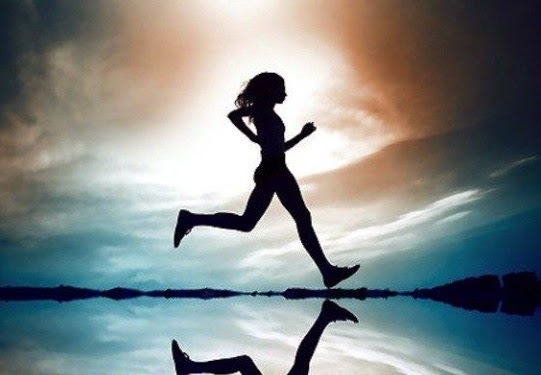 It boosts metabolism, detoxifies, increases endurance, improves memory, & aids in lowering cholesterol. 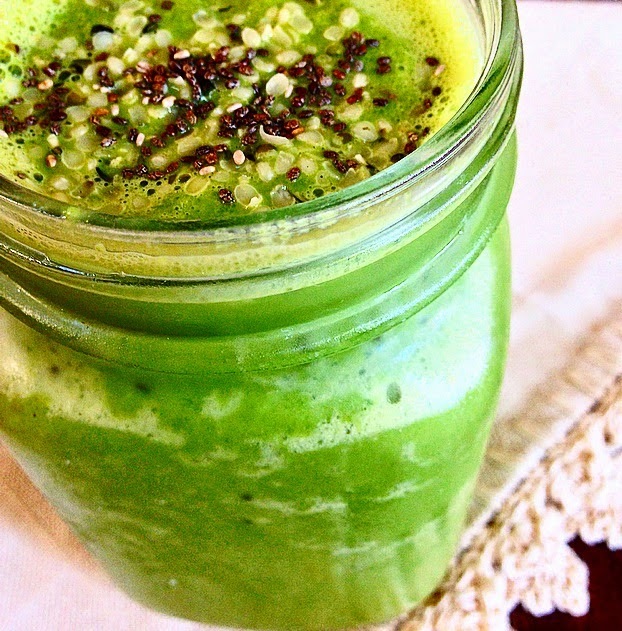 Try this SUPER amazing Superfood smoothie & get to know Matcha if you haven't already! 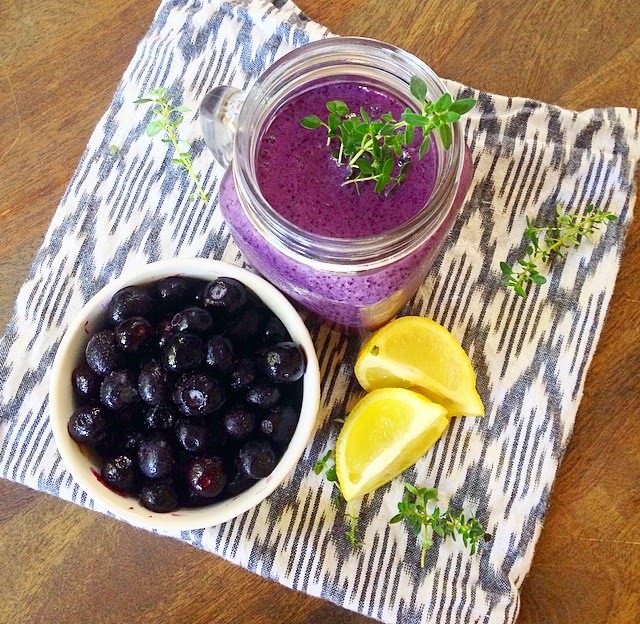 Our smoothie is topped with chia & hemp seeds for an added Superfood boost! One of my favorite quotes is by Eleanor Roosevelt that says “Do what you feel in your heart to be right because you’ll be criticized anyway." It’s so true. Whether you are doing something seemingly good or you have made a colossal mistake, chances are someone, somewhere is standing by ready to jab. Why? Because we are all mirrors of each other. Most of the time it has nothing to do with us, and it has everything to do with the other person. Maybe that person is just having a bad day or maybe they are dealing with something they can't handle. Either way, criticism has a negative impact. Your heart rate increases, you start to sweat, and you mind begins the exhausting game of defense. 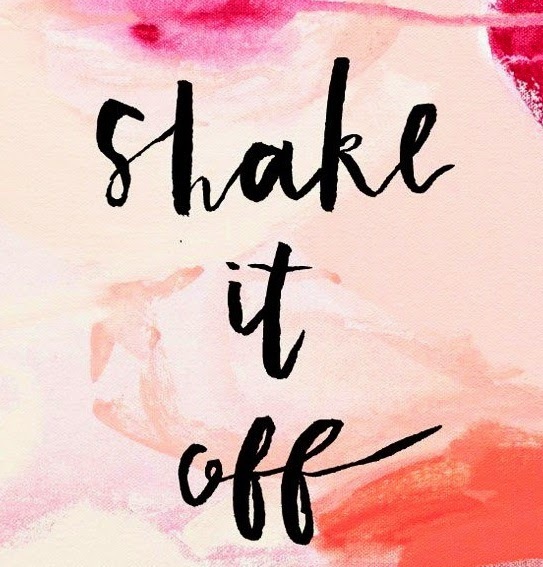 How do you shake it off? 1. Take the high road. Conflict cannot continue with only one participant. 2. Free yourself from negative people. 3. Stay open to new, positive friendships with like-minded people. 4. Show everyone kindness and respect. No matter what. 6. Support & encourage others in their greatness. 7. Accept your imperfections and love yourself anyway. 8. Don’t dwell. Forgive and move forward. 9. Be of service to others. 10. Keep in touch with the people who matter. 11. Allow others to make their own decisions. 12. Talk less, listen more. 13. Leave petty arguments alone. 14. Pay more attention to the relationship with yourself than what others are doing. 15. Know who your real friends are. 16. Ignore unconstructive, hurtful commentary on social media. 18. Take time every day for exercise & self-care. 19. Nourish your body with healthy foods. 20. Keep it light & when all else fails, find the humor and laugh. How you react & show up in this world is up to you. Stay connected to your best self & shake off the haters. Keep doing what you love with your life and keep being awesome!